Patch up your pedals. The Ortega OTCPA-04 Patch Cable, 0.4ft is as durable as it is flexible. 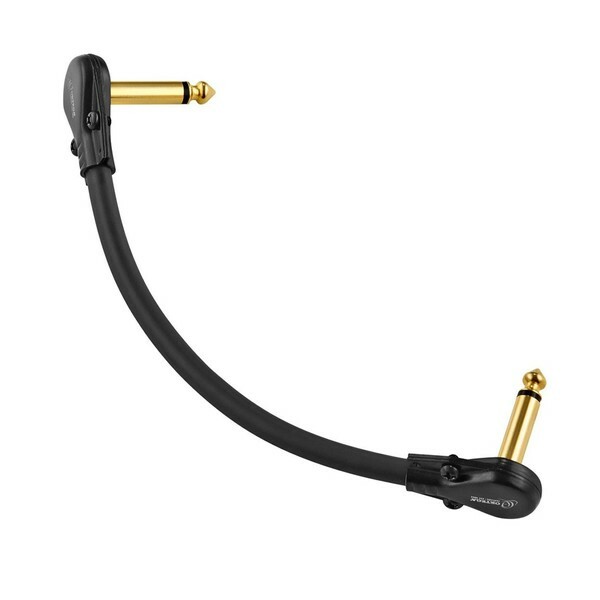 With an exceptionally thick diameter of 8 mm, the pancake style connectors allow the cable to fit securely in to your pedal. This also makes it easier for you to disconnect safely without damaging the patch cable or pedal itself. Made from 95% copper braided shielding, this is a patch cable that is designed to minimise any interference that may occur during a live performance. This ensures your sound is as clear as day - a cable you can truly depend on.